The world is experiencing unique economic times. A weak US dollar, over extended world economies are creating challenges for many. During uncertainty people hold back on spending on large tickets and luxury items but if you look carefully, you can find affiliate opportunities you can incorporate into your portfolio that can augment your revenues. Fortunately for most affiliate marketers, making the move from recession-proof affiliate products that consumer’s use, regardless of their economic status, is fairly simple. So, if your affiliate commissions have been falling off of late, here are a number of recession-proof product and service suggestions for your consideration. It’s that time of year again – Tax Time. Several IRS authorized merchants can be found at Commission Junction (affiliate portal), including TurboTax, H&R Block and QuickTax, the latter of which pays a 30% commission on all their products, including a premium tax preparation service which costs $69.95. People who are unemployed or underemployed are looking for ways to sharpen up their workforce skills. Adults are starting new businesses at a record pace and need to learn new business skills. Many individuals are looking at continuing education (CEU) courses, career changes or online self-paced business and internet marketing course. 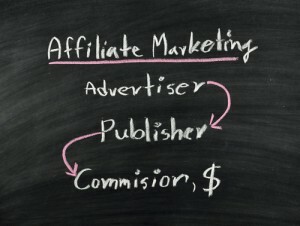 Some companies that offer affiliate programs are TechieCert.com and eMarketing4us.com (affiliate program). Employed and Unemployed people are actively creating a Plan B. In the U.S alone, 29 million adults are either starting or are running new businesses. These new business owners need training, instructional information products in the form of e-books, podcasts, webinars and conferences to new entrepreneurs; to mention a few. Almost every business needs business cards, office supplies and computer equipment: to mention a few. Check out Commission Junction to see which merchants will be right for your business. Let’s face it, there aren’t a lot of jobs out there but there is a lot of people searching for them. Join Monster.com and Indeed.com affiliate program and direct your visitors to their sites. Job seekers need to have their resumes updated. Some services, such as Employment911.com pays commissions of 12.5% to 25% and their resume writing package prices top out at $357.90 for executive level positions. While the affiliate programs above do not represent all of the opportunities out there waiting for affiliate marketers, it does demonstrate that even in bad times – we can thrive but one must be open-minded, perceptive and swift. To my affiliate partners out there – get out there and prosper in 2013!